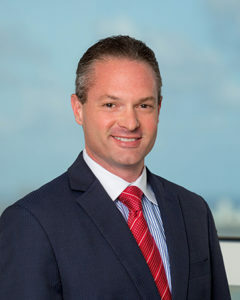 On January 19, 2017, Shutts partner Kevin D. Rosen will present on cybercrime and wire fraud before the Financial Institution Security Association (FISA) meeting being held at the United States Secret Service office in Miami. Kevin, a former Senior Regional Counsel at FINRA, is scheduled to speak on cybercrime and wire fraud perpetrated upon financial institutions and their customers. “I am honored once again to share my knowledge and perspective with dedicated professionals in the financial services and law enforcement communities,” said Kevin. FISA is a vital network for financial institutions and law enforcement agencies to share security information and combat crime. Kevin is a member of the firm’s Financial Services Practice Group and the Cybersecurity and Data Privacy Taskforce. Kevin previously served as a Senior Regional Counsel and Cybersecurity Regulatory Specialist with the Department of Enforcement at the Financial Industry Regulatory Authority.